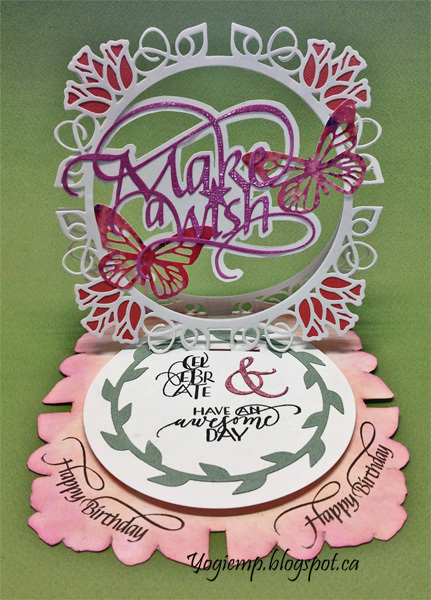 Suzanne just came out with a new batch of fabulous dies and clear stamps under the Elizabeth Craft Designs label. 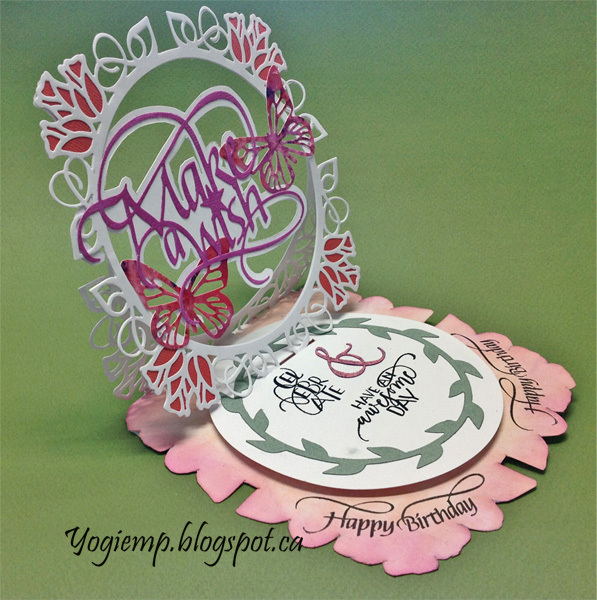 I've recently seen easel cards by Crafter's Companion that look fantastic made with their new die sets. I new I had to try making one with the dies I have on hand... I don't even want to think about what those Crafter's Companion die sets are going to cost...BIG GRIN. Oh, wow! Of course, I had to click to see what it looks like closed. Cleverly designed and looks good any which way. There's always something new to want! This is absolutely stunning, love how you combined the dies! Beautiful Birthday card! I just love the fonts on the Elizabeth sentiment dies! Thanks for sharing with us at Scrapy Land Challenges! Beautiful creation! Thank you for sharing with us over at Scrapy Land! Hope to see you again! Stunning and elegant, lovely colors and beautiful image. Thanks for joining us at Scrapy Land Challenges. We look forward to seeing you again.